The First City To Install Curb Cuts In Their Sidewalks Was? In the world of numbers, the numbers themselves are divided into categories based on how they are used. When we count things, we rely on cardinal numbers. How many Highlander movies are there? There are five Highlander movies. Ordinal numbers give us the position of something relative to other things. When was the eponymous Highlander born? In the 16th century (a century we locate relative to the 15th and 17th centuries). 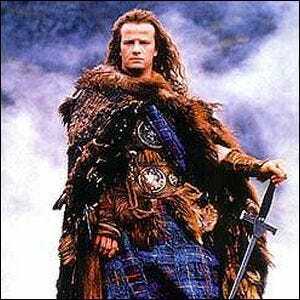 Which Highlander film do fans not talk about? The second film. Why? Because it doesn’t exist. Conversely, nominal numbers are numbers that serve strictly to identify something and do not convey the number of something or its placement relative to other things on a number line. The numbers on sports jerseys, for example, are nominal in that they don’t denote player rank, but simply identify players the same way a zip code identifies a geographic region. That said, if the Highlander was a basketball player instead of a battle hardened Scotsman, his jersey would most certainly be number 1 because, as all Highlander fans understand (regardless of whether they shun the ordinal numbering of the films or not), there can be only one.